Did I ever show y’all the look I did for work? I know my Instagram family got to see, but I noticed I forgot to post it here! So sorry. When it comes to costumes, I love to be a little more extravagant, but I still need it to be as easy as possible. We had a costume contest at work, and while I had a costume to wear to my Halloween festivities, it wasn’t exactly work safe. Yeah. It was deliciously short on me, about where it is on the model (and I’m only around 5’6 or 5’7). So I had to come up with another idea. 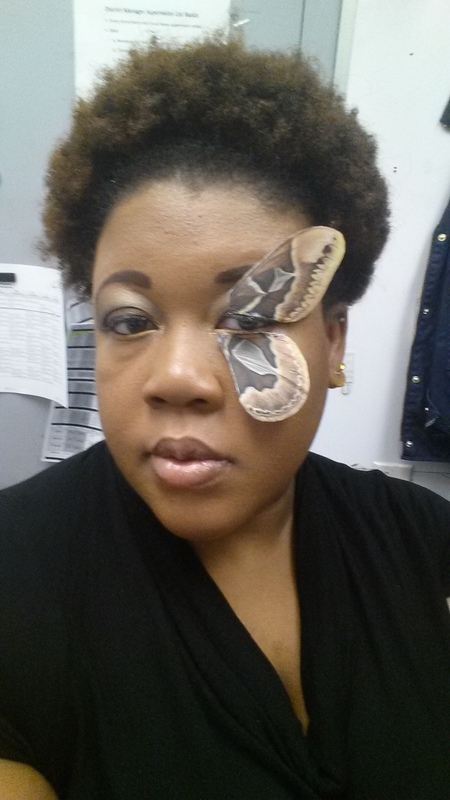 As my outside of work costume was going to be a Honey Bee, I figured I’d stay with the insect/animal theme and come up with something work appropriate. I went with an idea I found on Martha Stewart: a moth! 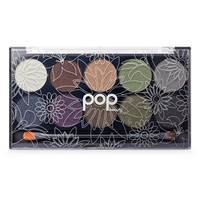 I didn’t win the contest, but everyone loved the look and how simple it was to do. Also, it was fun to blink my eyes and watch the wings flutter! Ok, now that’s been all caught up, I’ll have some other makeup looks for you later on this week. Until then, stay beautiful!